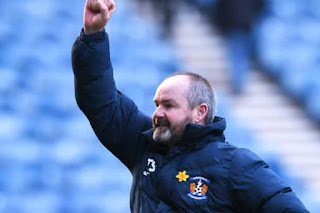 Steven Gerrard has admitted today he’s essentially lost respect for Steve Clarke, a manager he previously praised significantly till the Killie boss tried his hardest to get Jermain Defoe banned for simulation. Clarke spoke out about ‘diving’ and that Defoe should be given a ban, despite not appealing for a penalty nor staying grounded, and Gerrard, previously Clarke’s biggest admirer by his accounts of the Rugby Park chief, has expressed disappointment at the ex-Chelsea coach’s comments and inferred a loss of respect. If ever a forked tongue came out for an opposition manager, this would be it. Gerrard is right – Clarke’s conduct is poor, and while Clarke may have been asked about it, he could easily have abstained from comment or been vague. To be so explicit is poor, and the veiled dig that he’s lost respect for his own ex-coach who he previously had such time for really is about as acidic as Gerrard has yet been about an opponent. Do you want to win games with honesty? Are you open to referees revealing who they support? Do you agree the standard of refereeing in Scotland is abysmal? Personally I think we should ask Ceptic fans. How do you deal with it? All this hysteria about the penalties is for one reason and one reason only,and that is to stop us getting a legitimate penalty in the big games coming up,dermot Gallagher has commented on Rangers before and everybody believes him,now he comes up with his view on the four pks and suddenly he's a crank,as long as wee sit back and take this they will pile it on. Very poor of Clarke to comment on a game that he had nothing to do with. I suspect he will regret saying anything about the Rangers / St Mirren match. He spoke out of turn. Steven Gerrard doesn't seem to be a man who suffers fools gladly. Seems about right to me. Respsect, has to be mutual. There is obviously a conspiracy to give us loads of pens against the diddy teams (sorry Saints) to ensure that we don't get them against our competitor namely Celtic! Lets see how many penalties we get in the next month or so. I love a good conspiracy. Ref had a poor game get over it! This is the crux of the matter. We got a bunch of penalties in a game that we would've won anyway. The important thing is getting those penalties when it matters, e.g.when it's 0-0 at Easter Road.